Note Once drivers are updated, older driver versions are automatically deleted. 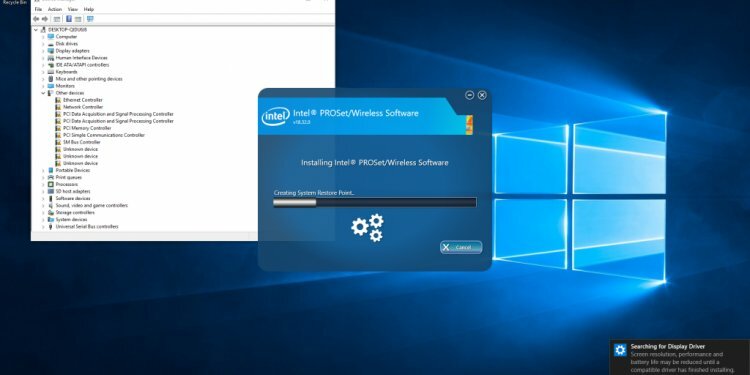 Select your operating system, and complete the steps to identify your Intel® Wireless Adapter and driver. Select the Wireless icon in the task bar at the bottom right of the screen. Select Advanced options or Hardware properties depending on your version of Windows 10. The product is listed in the "Description" field. The driver version is listed in the "Driver version" field. Right-click the Start button in the bottom left corner of the screen. Click Network Adapters to expand the section. The Intel® Wireless Adapter is listed. Example: Intel® Centrino® Advanced-N 6235. Right-click the wireless adapter and select Properties. Click the Driver tab to see the wireless adapter property sheet. The driver version number is listed in the Driver Version field. Right-click anywhere outside the start app buttons. In the All App button, select the switch to all app menu item. Click Network Adapters to expand the section. The Intel® Wireless Adapter is listed. Example: Intel® Centrino® Advanced-N 6235. Click Driver tab to see the wireless adapter property sheet. Click System and Security. Select Category view if the System and Security icon is not visible. On System, click Device Manager. The Intel® Wireless Adapter is listed. Example, Intel® WiFi Link 5300 AGN. The driver version number is listed in the "Driver Version" field. Double-click System and Maintenance and Device Manager. The Intel® Wireless Adapter is listed. For example, Intel® Centrino® Advanced-N 6235. Double-click the System icon. Select Switch to classic view if the system icon is not visible. Click the Network Adapters to expand the section. The Intel® Wireless Adapter is listed. For example, Intel® Wireless WiFi Link 4965AGN.